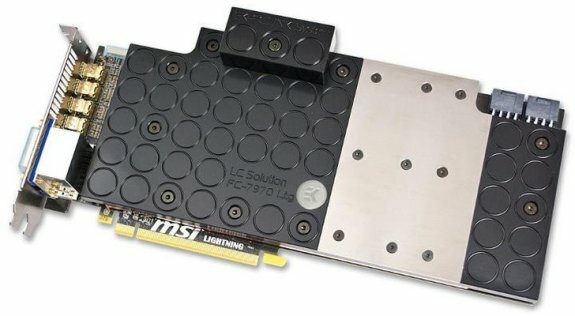 Softpedia writes MSI is prepping a liquid-cooled Radeon HD 7970 GHz Edition card, to be launched under the company's Lightning brand. This card is the likely embodiment of AMD’s “Tahiti 2” or GHz Edition design and is gunning for the reference GTX 680 cards out there. Seeing how frequency-scalable their architecture is, AMD decided to up the ante and introduce a higher-clocked GPU based on the same architecture, PCB and even the same cooling system. This is an important achievement for AMD, as it clearly shows that the Radeon HD 7900 series are well-engineered and reliable.